Many businesses have to rely on staff working alone, but must also ensure procedures are in place to protect their safety. Two-way radios have been capable of providing this safety check for many years now, but with recent developments and in particular the advent of digital radios, this has become a much more precise and therefore safer feature. How will it work as standard? In many radios, you will see that one of the features listed is lone worker. This as a standard feature means that the radio can be put into lone worker mode, which will then sound a tone at regular intervals. If the user fails to respond, the other radios are alerted. In many cases this is sufficient, although if the worker cannot be found and doesn’t respond, a search must be carried out. Digital radios have provided the platform for software developers to produce add-ons, which help to get more out of the standard features. One of the software add-ons allows you to see on a map where the radio users are, both indoors and out. Combining this with the lone worker feature means that any worker who fails to respond to their alert will have their position highlighted on the map. 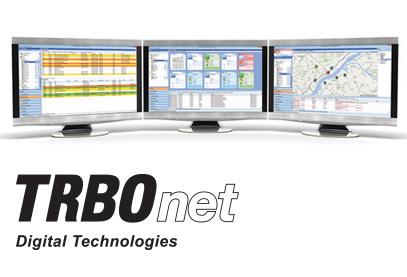 TRBOnet Integrated Application Solutions enable you to monitor audio, data, and the locations of your assets, provide record management and ability to review events that have taken place. 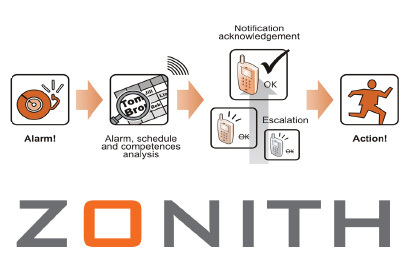 Zonith specialise in alarm handling and notification solutions, solving tasks at all levels of complexity, ranging from simple notification solutions to large alarm handling systems.